Celebrating Milestones at Louie Bossi: Zoe (21) and Doreen (70) celebrated their milestone birthdays together. Surrounded by delicious food and loved ones, it was a party not to be missed! It was a night filled with boccie ball, mini photo shoots, fun gifts, and (my favorite part) very elaborate cakes! Birthdays are so important. Not only are they a great reason to bring everyone together, but it’s a day to celebrate you. To celebrate your accomplishments, your life, and for others to be able to celebrate you with you! And these ladies celebrated the right way! 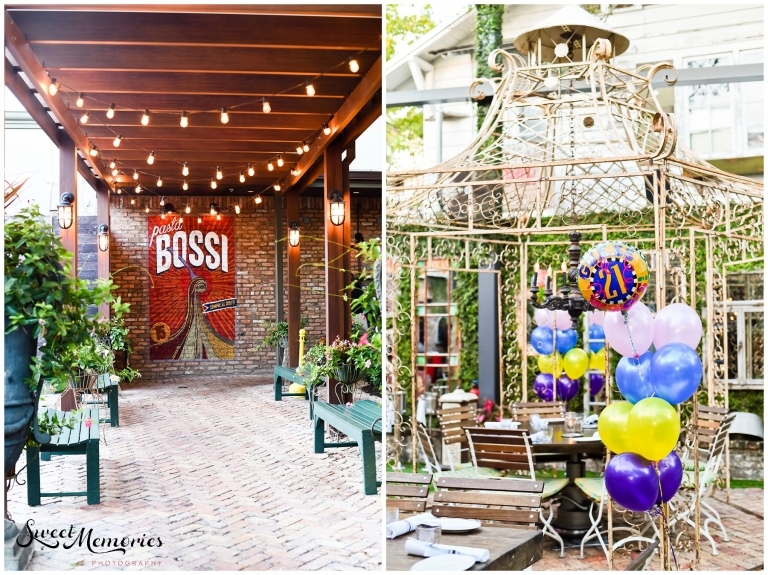 Louie Bossi’s is such a great venue. Very little decorations is needed for any celebration! However, a few personalized balloons never hurt! Are they not the most beautiful family?! A little friendly boccie ball competition: As their guests arrived, Doreen and Zoie were all smiles and with open arms! You can’t have a dual birthday without a little mini photo session! Zoie’s parents/Doreen’s son and daughter-in-law: A little fun with these two besties …. Cheers to the two beautiful birthday ladies! Happiest of all happy birthdays, Zoie and Doreen! It was such a pleasure getting to know you and celebrating your milestone birthdays with you! See more Sweet Memories’ special events and photos here!